Although all the aircraft are not visible in the video, this was a four ship formation training flight that took place on Saturday, December 16, 2017. All formation qualified pilots must accomplish formation flights in a flight of at least four aircraft periodically to maintain their formation qualifications. The takeoff captures the flight lead in the silver AT-6 and the Nakajima “Kate” Bomber in the Number 2 position just as they prepare to conduct and then execute a two ship formation takeoff. The lead aircraft is flown by Capt. Jim Buckley, a retired airline pilot. In his back seat is Capt. Jeff Neiger, an airline pilot. The Number 2 aircraft is flown by aviation attorney Alan Armstrong. The Number 3 aircraft was a North American AT-6 flown by Captain Alan D. Armstrong, USN. The Number 4 aircraft was flown by Capt. 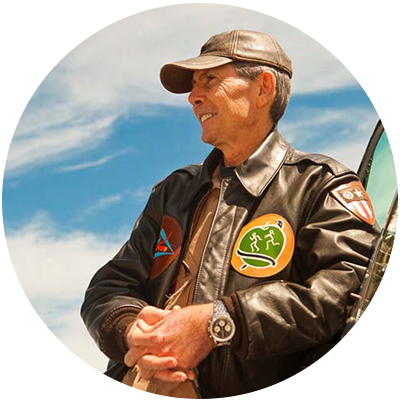 Joe Broker, a retired airline pilot. Formation flying may look easy. However, it takes a great deal of training, skill and concentration to conduct these operations safely.